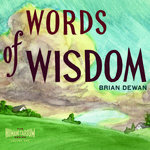 Includes unlimited streaming of Words Of Wisdom via the free Bandcamp app, plus high-quality download in MP3, FLAC and more. A true American original, artist and ephemeralist Brian Dewan has collaborated and toured with They Might Be Giants, played zither with the Raymond Scott Orchestrette, Drink Me, and three different symphony orchestras, and written scores for theater and films of Ladislaw Starewicz, Three Legged Dog, Sesame Street, MTV and Blue Man Group. He is one half of the electronic music duo Dewanatron, with cousin Leon Dewan. 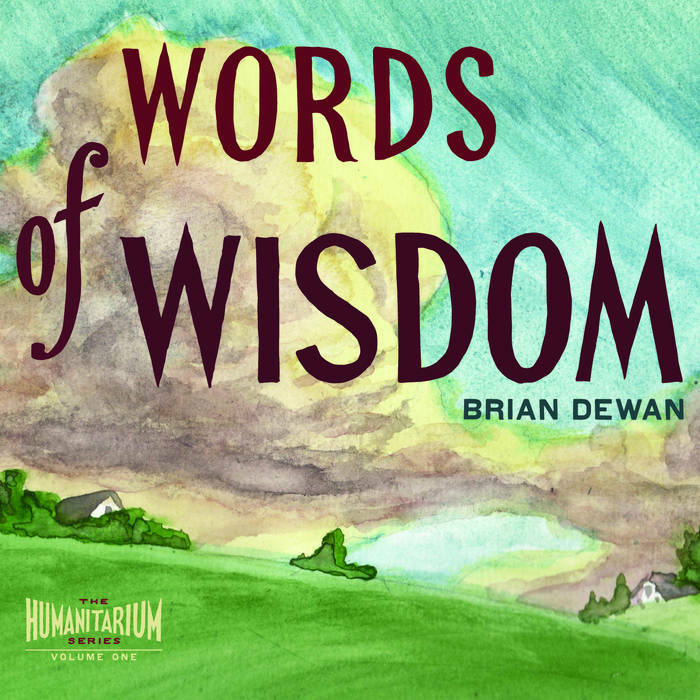 Brian’s first album since 2000’s The Operating Theater (Instinct Records), Words Of Wisdom is a collection of North American songs written between 1690 and 1950. Some of the authors are known, most of them not. The songs espouse varying perspectives, by turns humorous, frank, sentimental and stoic. Words Of Wisdom is the first in Brian’s Humanitarium Series: recordings of musical artifacts drawn from folk material, parlor music, ditties, chants, jingles, historic popular song, and music for liturgical and institutional use. "Enigmatic jack-of-all-trades Brian Dewan has dabbled in everything from carpentry to free-form electronic music and worked with everyone from the Blue Man Group to Sesame Street, so it comes as no surprise that his latest mission is to rescue as many long-buried American folk songs from 'old schoolbooks, garage sales attics, and basements' as he can find and filter them through his sepia-toned armory of parlor-room instrumentation... Dewan's love for the macabre informs many of his song selections, some of which were obviously drawn from the dusty pages of children's books created in an age where parents and politicians had more important things to do than remove 'questionable' material from scholastic texts for fear of moral depravity and potential lawsuits... Masterfully conveys the pioneering attitude, limitless imagination, and dark whimsy of the pre-Information Age." 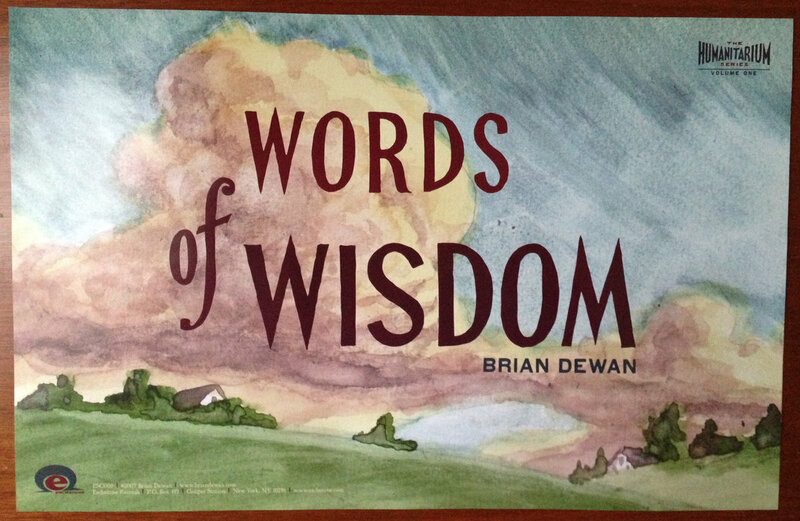 "If you're wondering why Dewan has only released three albums in 14 years, it's because he's been providing cover artwork for the likes of David Byrne (Uh-Oh), They Might Be Giants (Lincoln), and Neutral Milk Hotel (the interior of In the Aeroplane Over the Sea). His piece for the latter ('Flying Victrola') is almost as enchanting as Jeff Mangum's magnum opus. 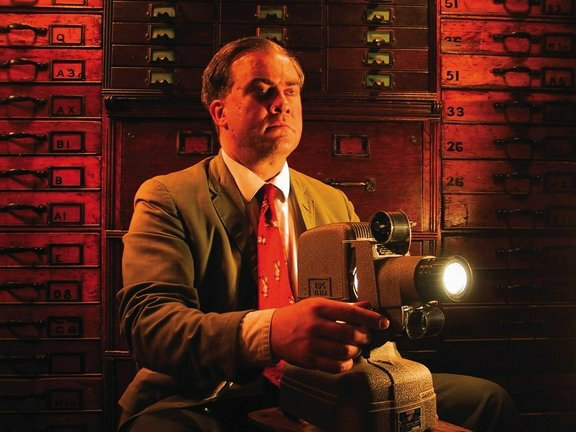 Dewan's follow-up to Brian Dewan Tells the Story (1993) and The Operating Theatre (1998) is a one-man affair with the artist on autoharp, electric zither, organ, and accordion. 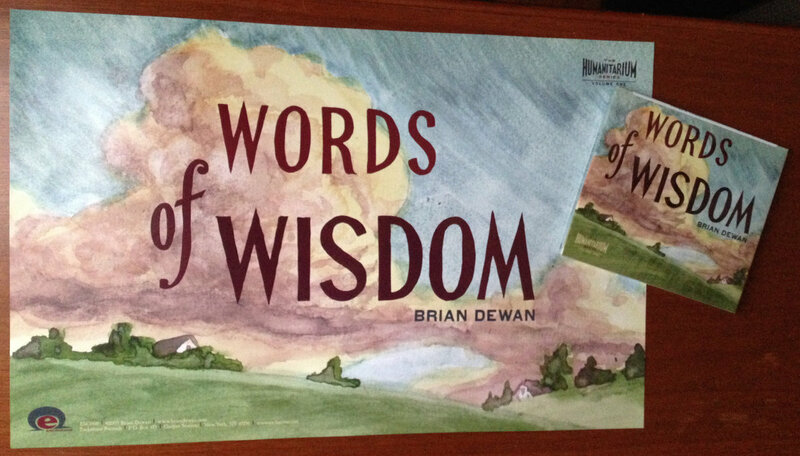 Of the solo efforts I've heard this year, Words of Wisdom is among the best." "This isn't your average singer/songwriter!" "I've got hell on the inside as well as the out!" Crying, Lord, what have I done? Crying, Brother, are you dead?